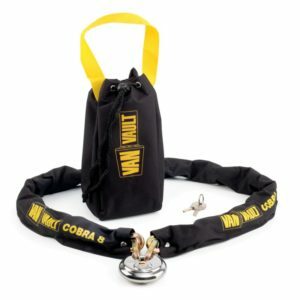 We provide a range of different chains able to increase your security and designed to protect from any kind of attack. 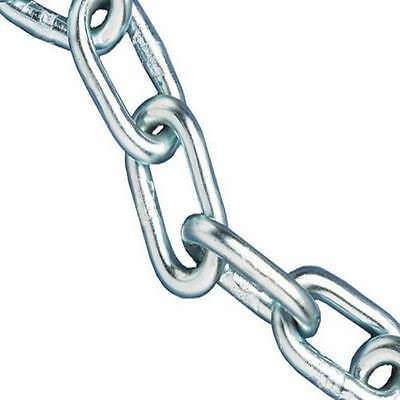 The products in this range include 1100mmx10KS security chains, 1100mmx8KS security chains, 1400mmx10KS security chains, 1700x10KS security chains, 850mmx10KS security chains, grade 80 chains, 6mm zinc plated chains and 8mm zinc plated chains. Our fast and secure delivery is available on all of our products, so you can be sure your purchase reaches you in minimal time. 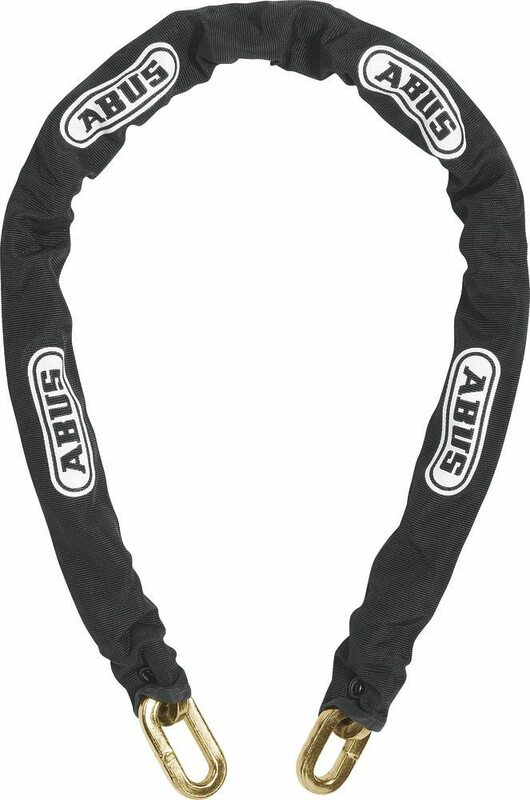 All of our items we currently stock, Sibbons will deliver your product the next day. We will even provide a free delivery on any purchase over £100. If you have any enquiries you can speak to one of our customer support representatives on 01206 823448, email sales@sibbons.co.uk or via the website. As a business we respond to all enquiries made rapidly ensuring we leave customers satisfied. 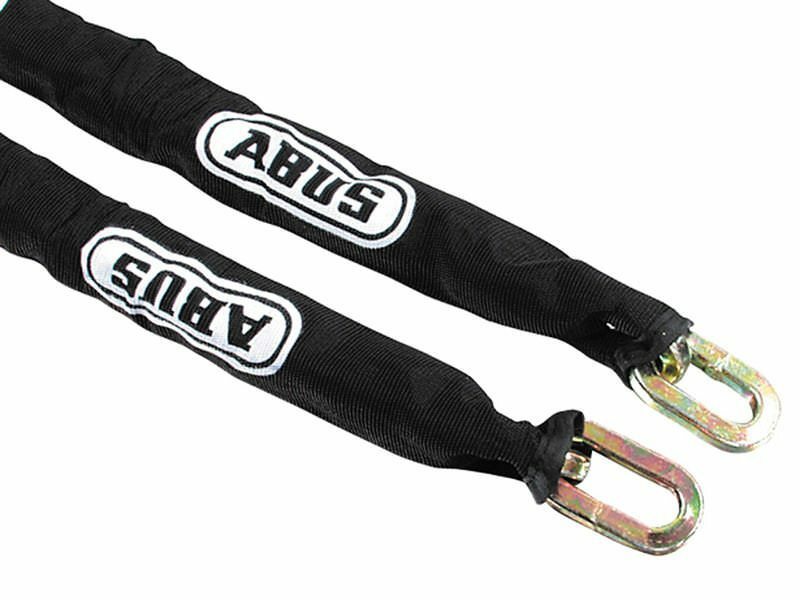 The Abus 10KS Security Chain is through hardened and has square steel links which are fully galvanised for protection against corrosion. 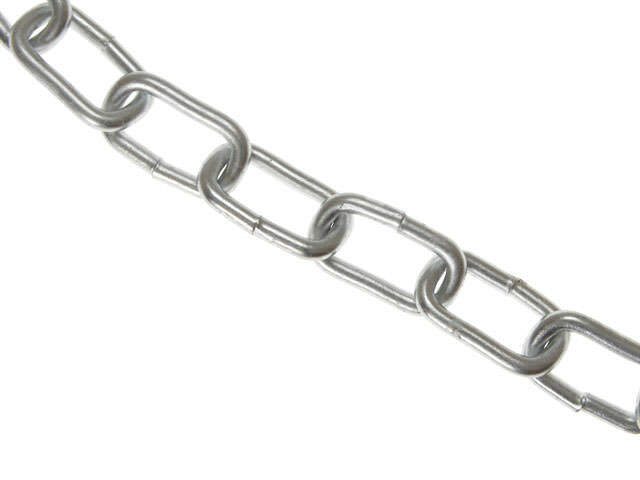 The Abus 8KS Security Chain Through hardened, square steel links which are fully galvanised for protection against corrosion. 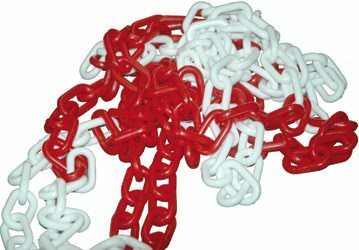 25m of red and white plastic chain. 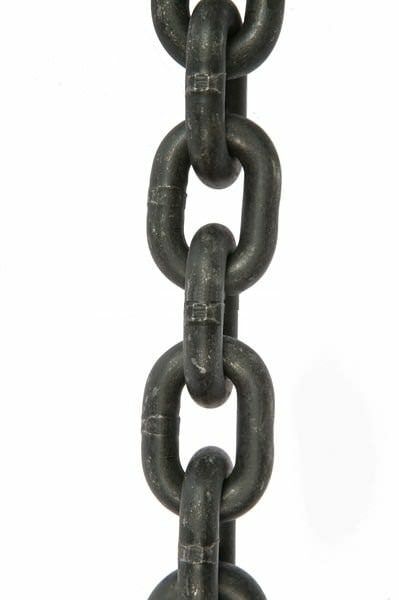 The Faithfull welded steel chains are made to UK and International standards (DIN5685 standard), with the link side welded for extra strength and quality tested.